Build your business flow based on the data you get from Microsoft Translator. 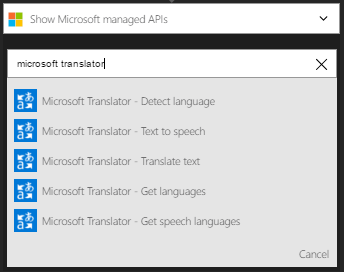 Use actions to translate text, detect a language, and more. These actions get a response, and then make the output available for other actions. For example, when a new file is created in Dropbox, you can translate the text in the file to another language using Microsoft Translator. You can get started by creating a logic app now, see Create a logic app. 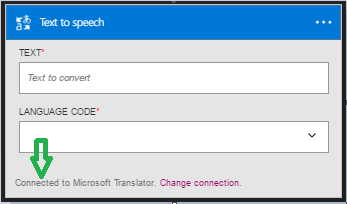 Before you can use your MicrosoftTranslator account in a Logic app, you must authorize the Logic app to connect to your MicrosoftTranslator account.Fortunately, you can do this easily from within your Logic app on the Azure Portal. Go back to the APIs list.